Craving a desi flavoured quick-bite on the go? Drop by Roll Baby Roll In Alwarpet for kebabs, rolls and curries. This little kiosk, with just a couple of chairs available, on TTK Road offers flaky, crunchy kathi rolls with some of our favourite fillings. We recently ordered from Roll Baby Roll that’s been around since July 2017. Personally, we loved the Chicken Roll Dilli Istyle and Chicken Roll Kalcutta Istyle (yeah, that’s how its spelled on the menu!). Both rolls were delicious with flaky paratha stuffed with succulent chunks of chicken and tangy spices. A Single Filling costs INR 110 and a Double Filling costs INR 150. Sure it’s not THAT cheap, but a single roll did the job in satiating our appetite. We’d recommend having two different flavoured, Single Filling rolls because why not? They have egg rolls starting at INR 70, Butter Chicken Roll (with a very creamy filling) at INR 150 and even Schezwan Paneer Roll at INR 130. And yes there’s a slightly healthy option – you can ask for wheat paratha instead at an additional charge of INR 25. They also offer curries like Dal Makhani, Kadai Paneer and Butter Chicken (prices start at INR 225). 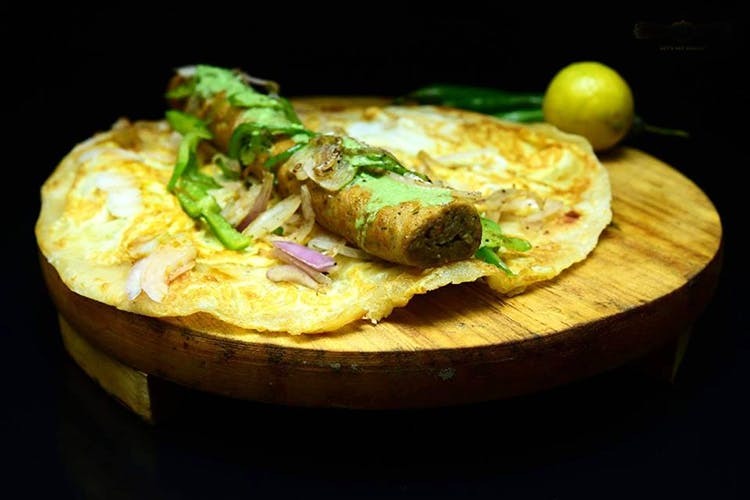 You can make it a combo at INR 275 with a choice of two rotis. They also have kebabs and kebab rolls but these are available only after 7 pm. Paneer Tikka, Mutton Seekh, Achari Chicken – take your pick. They even offer family packs at INR 399 which is inclusive of four rolls. And what’s even better? They’re open from noon till 1 am every day! Midnight cravings sorted; so get the gang together and just go already.